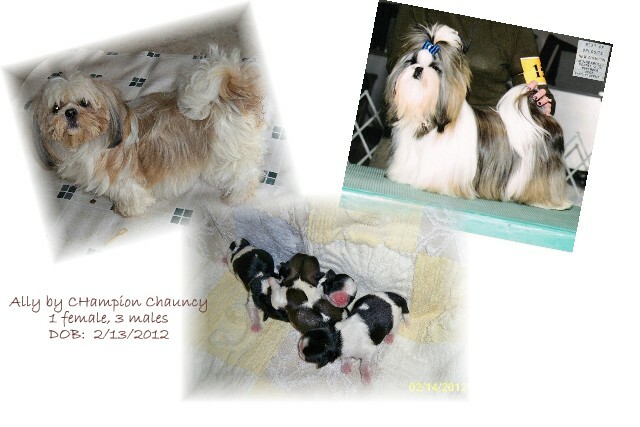 Ally's puppies were born Monday, February 13, 2012 They will be ready for their new homes starting April 8th! Update 4/20/12: Puppies are AKC Registered. Shipping is not available. If you are interested in acquiring one of our puppies, please complete our "Adoption Application" to start our adoption process. Tri Colored Male...full of personality and beautiful! !